Hey, everyone I found an articles on LinkedIn about Microsoft’s latest creation. It’s about how Microsoft’s intelligent cloud powers that embraces customer innovation and other industries that affects through technology and other services. 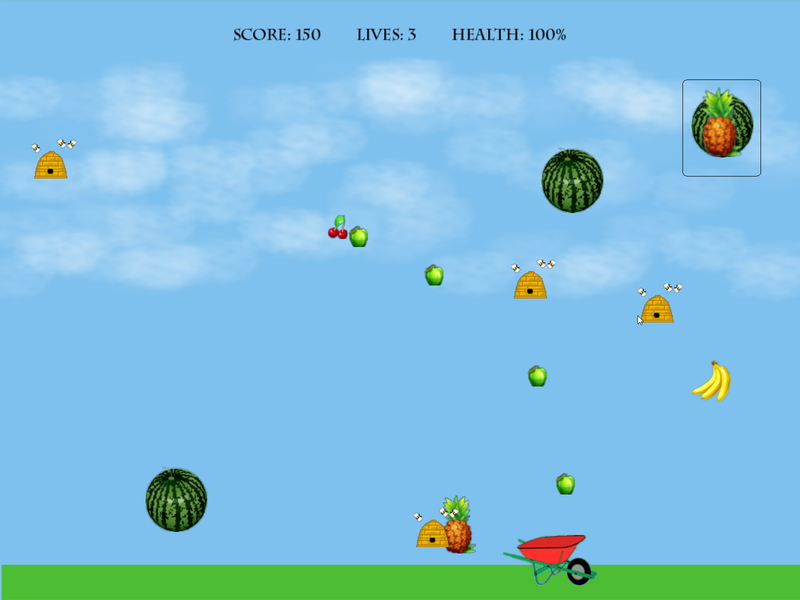 Take a look at the latest creation from Microsoft. This entry was posted in Accessibility & Assistive Tech, Cloud Computing, News on February 13, 2018 by Gerise Kendrick. Here are two posts I found on FB and Twitter, everyone. One post that I found on FB is an virtual reality body suit that can simulate pain and pressure. The other post that I found on Twitter is a free app called Seeing Al that support low vision and help people with vision issues how to text, object and more by holding on your phone and watch the video. Please, go to Facebook and type BBC Technology News and scroll down until you see Telasuit and go to Twitter and type fightblindess. And everyone please liked, comment and questions. This entry was posted in Accessibility & Assistive Tech on February 1, 2018 by Gerise Kendrick. On April 28 – 30, the Kellogg School of Management at Northwestern University is hosting a Makeathon where Makers and Need-Knowers (people with a deep understanding of a specific disability challenge) develop extremely affordable solutions for real-life challenges. Teams of Makers are paired with a need knower to build a product to address the Need-Knower’s unmet need over the period of a 3-day weekend. The Need-Knower gets to keep the product at the end of the weekend and the design is open for anyone in the world with the same need to use free of charge. Be able to meet with paired Maker team on April 12. Transportation will be provided if needed. Be able to attend the Makeathon at the Evanston Campus of Northwestern University on April 28, 29, and 30 to work with your Maker team as they develop your product. Transportation will be provided if needed. You can see PDF of the handout flier, and apply on the Makeathon website. This entry was posted in Accessibility & Assistive Tech, News on March 31, 2017 by pmaher59. This entry was posted in Accessibility & Assistive Tech, News on June 15, 2016 by pmaher59. I’m a big Ken Burns film fan. While his film footage is always impressive, I look forward to the stitching of poignant, archival photographs with the familiar, often deeply-timbered narration into a seamless story that appears to be a moving film, even as you are aware that it’s often a series of discrete, historic pictures. Whether he’s exploring the American Past Time, the decade-long drought that was the Dust Bowl or our globally-renowned National Parks System, I – along with countless other viewers – feel transported to that time. I feel not just empathy, or heartbreak, or elation, but a deep connection to the events and people of that era. His films feel transparent, accessible and genuine. They implore viewers to participate, engage, and critically consider complex topics and eras in our great nation’s brief but rich history. Recently Burns collaborated with Tedd Benson of Bensonwood, known for reviving classic timber framing in America, to build a timber-framed studio for Burns’ Florentine Films. 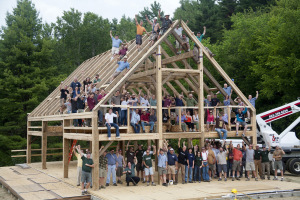 This Old House host Kevin O’Connor discussed the process and significance of timber framing with both of them in his In the House program over several brief videos. As I’m also a big This Old House fan, I was drawn to this all-star combination. Burns, always the filmmaker-philosopher, jumps from metaphor to metaphor in the series of interviews. Barn building as metaphor for the American can-do spirit. Barn building as metaphor for the beautiful simplicity of agrarian America. Barn building as metaphor for the solid foundation of our people. In fairness to him, these all seem relevant. However, one metaphor that seemed particularly relevant – and transferable to the open data/open gov movement that is shaping how citizens are beginning to play more active roles in securing and benefiting from government services – was the timber barn’s transparent aesthetic as metaphor for honest, democratic principles. Socrata’s Director of GovStat Beth Blauer is a data freak. I expect she’d freely admit it. A serendipitous injury on 9/10/01 prevented her from going to work on 9/11 as a newly minted attorney with a NYC hedge fund in the World Trade Center complex. Following that tragic day, Beth understandably went through a process of reevaluating life and career. She knew that she wanted to help people – as academic as that sounds – and she shifted gears quickly to become first a public defender, and next a juvenile probation officer with the Maryland Department of Juvenile Services. Her work was recognized by Governor Martin O’Malley – formerly Mayor O’Malley of Baltimore – who was already known for applying a data-centric approach to reducing crime in Baltimore based on the success of New York City’s vaunted CompStat initiative. O’Malley and his team deftly applied the principles associated with making volumes of data visible, searchable, logical and ultimately actionable. 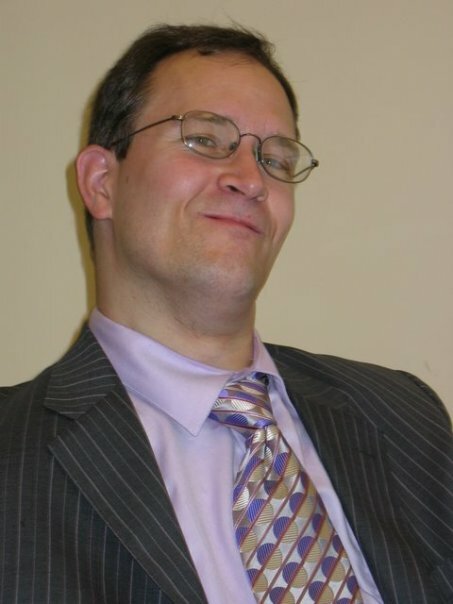 He appointed Blauer his Chief of Staff of Juvenile Services and then Director of StateStat – his statewide version of CitiStat that had made such an impact on Baltimore’s crime rate and core city services. Beth had arrived. She had followed O’Malley and his team’s work from CitiStat forward and set about to make her mark in making government respond more effectively to citizen needs. O’Malley recognized that it was critical to draw data from all departments in order to achieve the composite framework necessary to effect meaningful change. This wasn’t lab work in a controlled setting. It would be the basis for decisions regarding crime prevention and management, environmental strategies and ending childhood hunger in Maryland. Using an open data portal, the team was able to aggregate information from the array of agency sites, secure it, organize it, and make it available to both internal teams and the public in a contextualized and intuitive fashion. If you go onto the portal, you’ll see that its layout is uncluttered, iconic and fairly easy to navigate. There are a number of highlighted reports/datasets that I’m sure are refreshed as public interest and state efforts shift. Currently, four reports are highlighted horizontally on the open data portal landing page: payments by state agencies over FY14, tax rates by county, electric vehicle (EV) charging stations across the state, and registered minority business enterprises (MBEs). As you click on the EV link, a layered page reveals a color-coded legend inset over a map of the state and northeast riddled with the related colored “bubbles” representing the wide range of alternative fuel (AF) refueling and support locations. There’s also a horizontal toolbar featuring options like chat, multiple views, export, filter and others. No question that, while the data is generally intuitive and accessible, it helps to be fairly digitally native or at least comfortable with common iconography to benefit from the available information. Allowing that a fair percentage of visitors either are, or can become so without too much exposure or training, it’s pretty amazing stuff. It was fairly easy to apply a filter by city and expose a simple, structured spreadsheet with sites, addresses, etc. of EV charging stations in Rockland for example. If your Prius needed a charge after visiting a friend in Rockland, you’d be glad you visited the portal! Transparency is Clearly here to Stay! Whether you have an electric vehicle, are keen on the health of Chesapeake Bay, or concerned about crime in your neighborhood, Maryland’s open government (open gov) portal is helping to make meaningful connections to its citizens. This movement toward aggregating, structuring and making key data available both to citizens by way of meaningful dashboards and reporting, or to government teams for establishing impactful programs and services, deploying valuable resources and establishing a more democratic, transparent and efficient relationship with the citizens it serves is gaining national momentum. Nearly 4 in 5 states have implemented sites based on principles of open gov and transparency. Note: See what the City of Chicago and State of Illinois are implementing around open gov – go to http://opengovhacknight.org/ and https://data.illinois.gov/ respectively! This entry was posted in Big Data, Cloud Computing, IT Trends, Megatrends, Visionary Innovation and tagged access to public data, Big Data, Civic Engagement, ken burns, open gov on February 3, 2015 by pmaher59. The Final Megatrends Presentation for 2013 and an Outlook to 2014. ITKAN’s last “Megatrends” meeting was an outstanding discussion based on “Cloud Computing”, led by Chris Kabat, Vice President and Co-Founder of MPS Partners. Starting from a more general perspective on how cloud computing works well for small to mid-sized business to the “how” of the cloud, The presentation was very well-received, provoking questions on cost, security, control and efficiency as well as an appreciation for the incredible technology associated with a cloud data center. We also discussed the Microsoft Global Data Centers, who are impact players in developing cloud services for Microsoft end-users. One of the main Global Data Centers is right here in Chicago…and it’s a green complex! This meeting was emblematic of the essence of ITKAN, technology leaders reaching out to those who want to dig deeper into IT and developing technology, process and trends. As always, many disabilities were represented within this rich and diverse group. 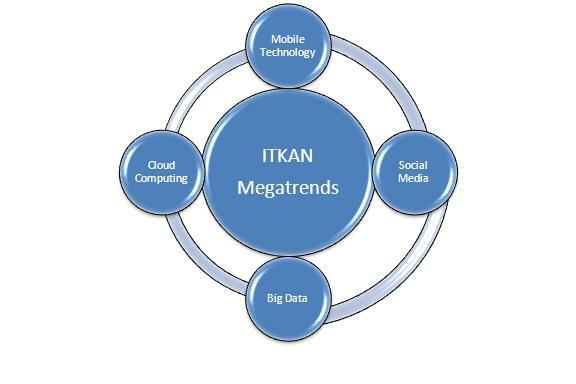 ITKAN extents a heartfelt thank you to Chris, Jeff Seagard and Ross LaForte as well as our other presenters for excellent Megatrends presentations for 2013. As always, a special word of thanks goes to Adam Hecktman, the director of the Microsoft Technology Center Chicago, for access to this great space and his great insights, and the supportive staff of the MTC. If you would like to join us for our strategy session for 2014 (which will be spirited! ), we will be having our next meeting on December 12th at the Microsoft Technology Center Chicago, 5 PM. If you would like to reserve a spot for your next meeting, contact Pat Maher or Bill O’Connor via email, and we’ll get you on the ITKAN mailing list to stay abreast for meeting times, subjects and other ITKAN happenings!